For the first time in many years, Barry Manilow is back with new music. The news has brought about cheers from his “Fanilows” and the Elevator Muzak Association of America (EMAA). On a more troubling note, however, recent findings do cause alarm for those over-exposed to the sugary sounds of Manilow. 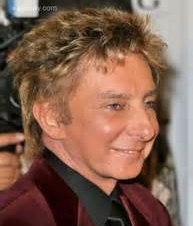 The American Diabetes Society released a study showing a direct link between listening to Barry Manilow songs and diabetes. Scientists played the song “Mandy” over and over again to one of group of lab rats, fed another group only “Coco Puffs” cereal and used a control group to perform the study. The rats that were forced to listen to Manilow 24/7 came down with the disease 20% more than the “Coco Puff” rats and 75% more than the control group. What if Antibiotics no Longer Worked?